The Supreme Court has delivered an important judgment qua the provision in the Hindu Marriage Act which puts a condition on a divorcee in contracting a second marriage. It has been held that the protection that is afforded by Section 15 of the Hindu Marriage Act is primarily to a person who is contesting the decree of divorce. The bench comprising Justice SA Bobde and Justice L. Nageswara Rao has observed that restriction placed on the second marriage in Section 15 of the Act till the dismissal of an appeal would not apply to a case where parties have settled and decided not to pursue the appeal. This is a case of a man whose second marriage also reached the court. The first wife dragged him to family court and successfully obtained a divorce decree. He filed an appeal before the High court, but during the pendency of an appeal, the couple ‘settled’ to part with each other and the husband filed applications to withdraw the appeal. The High court allowed the application and dismissed the appeals. He married another woman on 06.12.2011, on which day his application seeking withdrawal of appeals challenging divorce decree was ‘pending’ before the High court which had only passed orders on it on 20.12.2011. The second wife approached the Family court seeking divorce on the ground that the marriage contracted by him with her is null and void because of the above-said fact of pendency of the appeal before the High court on the date of second marriage. Though Family court rejected her plea, the High court found favour with it, and declared the marriage as null and void. Whether the dismissal of the appeal relates back to the date of filing of the application for withdrawal? Whether the marriage dated 06.12.2011 (second marriage) between during the pendency of the appeal against the decree of divorce (in first marriage) is void? 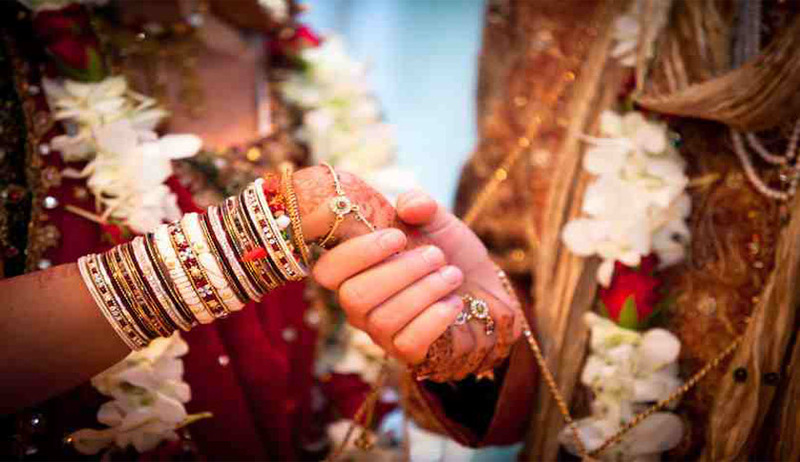 Section 5(1) of the Hindu Marriage Act places a bar on marriage by a person who has a spouse living at the time of the marriage. Section 11 makes such a marriage null and void. Section 15 tells when a divorcee can marry again. It reads: When a marriage has been dissolved by a decree of divorce and either there is no right of appeal against the decree or, if there is such a right of appeal, the time for appealing has expired without an appeal having been presented, or an appeal has been presented but has been dismissed, it shall be lawful for either party to the marriage to marry again. As regards the first issue, the bench referred to the judgment in Shiv Prasad v. Durga Prasad, and observed that Order XXIII Rule 1 (1) of the CPC gives an absolute right to the plaintiff to withdraw his suit or abandon any part of his claim. It said: “There is no doubt that Order XXIII Rule 1 of the CPC is applicable to appeals as well and the Appellant has the right to withdraw his appeal unconditionally and if he makes such an application to the Court, it has to grant it. Therefore, the appeal is deemed to have been withdrawn on 28.11.2011 i.e. the date of the filing of the application for withdrawal. It was held that, in such a scenario, the first wife cannot be considered as a living spouse at the time when he contracted the second marriage and Section 5 (i) is not attracted and the marriage cannot be declared as void. Justice Nageswara Rao, who authored the lead judgment, took note of the repealed proviso to Section 15 of the Act which provided that ‘it shall not be lawful for the respective parties to marry again unless at the time of such marriage at least one year has elapsed from the date of the decree in the Court of first instance’. Lila Gupta v. Laxmi Narain, a judgment of the Apex court interpreting this proviso was taken note of. In the said judgment, it was held a marriage in contravention of the proviso to Section 15 is not void. Justice Rao further observed that the majority judgment was concerned only with the interpretation of proviso to Section 15 of the Act and although Justice Pathak in his concurring judgment referred to Section 15, but refrained from expressing any opinion on its interpretation. Justice SA Bobde, in his separate opinion, observed that issue revolving Section 15 has already been answered in the said judgment. Justice Nageswara Rao, in his judgment, proceeded with interpreting Section 15. Justice Bobde in his opinion observed that Lila Gupta Judgment, in essence, has held that if a provision of law prescribes an incapacity to marry and yet the person marries while under that incapacity, the marriage would not be void in the absence of an express provision that declares nullity. “Quae incapacity imposed by statute, there is no difference between an incapacity imposed by negative language such as “it shall not be lawful” or an incapacity imposed by positive language like “it shall be lawful (in certain conditions, in the absence of which it is impliedly unlawful)”. It would thus appear that the law is already settled by this Court that a marriage contracted during a prescribed period will not be void because it was contracted under an incapacity. Obviously, this would have no bearing on the other conditions of a valid marriage. The decision in Lila Gupta case thus covers the present case on law.” Justice Bobde observed concurring with the view that, in this case, marriage was not subsisting when he married again. “He had filed an application for withdrawal of his appeal against the decree for dissolution and had done nothing to contradict his intention to accept the decree of dissolution.”, the Judge added.